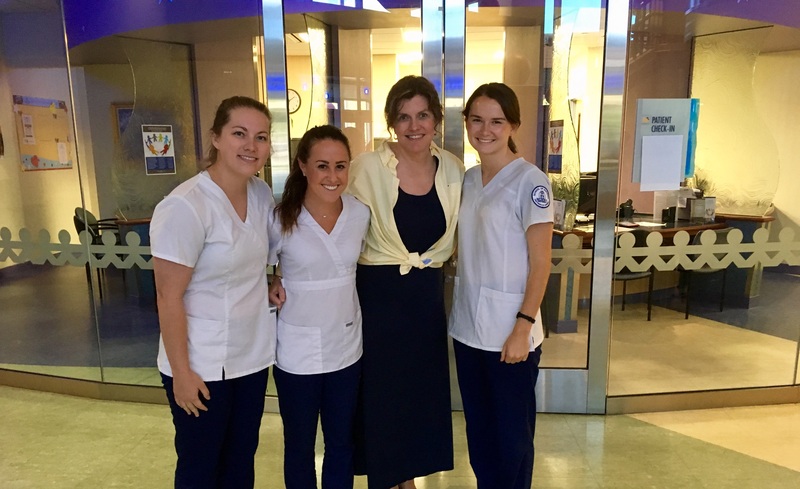 For the past seven weeks, 16 Belmont nursing students have participated in the Vanderbilt Experience: Student Nurse Internship Program (VESNIP), a summer internship program at Vanderbilt University Medical Center (VUMC), with students from four other regional nursing programs. Three Belmont nursing students were awarded the highest honors at the culminating awards ceremony held on Wednesday, June 29. Of the seven total awards given, three went to Belmont students. VUMC credo behaviors identify those individuals that aspire to excellence and expert performance by making those they serve their highest priority, conducting themselves professionally, respecting confidentiality, communicating effectively, having a sense of ownership and exhibiting a commitment to colleagues. Carly Rabideau received the Credo Award for the Perioperative/PACU Track, Alexa Yatauro received the Credo Award in the Psychiatric Track and Sarah (Sally) Rogan received the Credo Award for the Critical Care Track. All VESNIP participants with Dr. Leslie Folds (left). All Credo Winners are pictured above with Dr. Folds.